We are working with the Barnes & Noble in South Burlington to conduct a Bookfair to raise funds for IMAGINATION LIBRARY! We can earn between 10-20% of sales this day, with all funds raised going to Imagination Library. 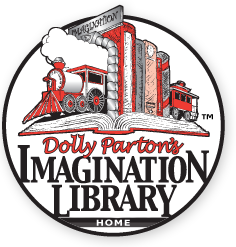 By using in-store vouchers, sales are tagged for our Burlington Imagination Library affiliate. We will need Rotarians at the store to hand out vouchers and promote the event. You can also shop online at BN.COM/bookfairs to support us online from 7/21/18 to 7/26/18, just make sure to enter Bookfair ID 12382941 at checkout. Here are general guidelines for Barnes & Noble Charity Bookfairs.